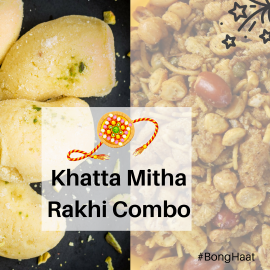 To celebrate Rakhi as a Bengali occasion, online portal BongHaat.com brings to you Misthi Rakhi Combo symbolizing the strong bonding between brothers and sisters. 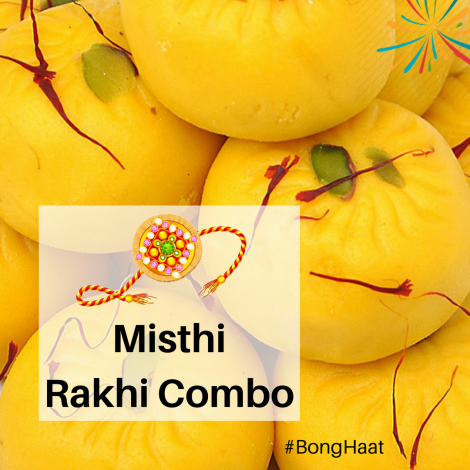 This Rakhi combo pack consists of Ganguram Mango Sandesh (450 grams), Balaram Mullick Mandir Sandesh and one Rakhi. 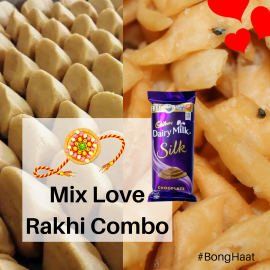 This Rakhi Combo will delight you both in terms of gifts items and value for money.